Commercially bought energy drinks, instantaneous as they may be ultimately have a harmful effect on your health. Not only do they increase your heart rate in an unnatural way, but they can also cause a energy crashes when their effect wears out. Feeling like a slothful? Juices are the perfect start to the day as they provide you a plethora of nutrients, vitamins and other nutritional benefits that even nutritionists are raving about. 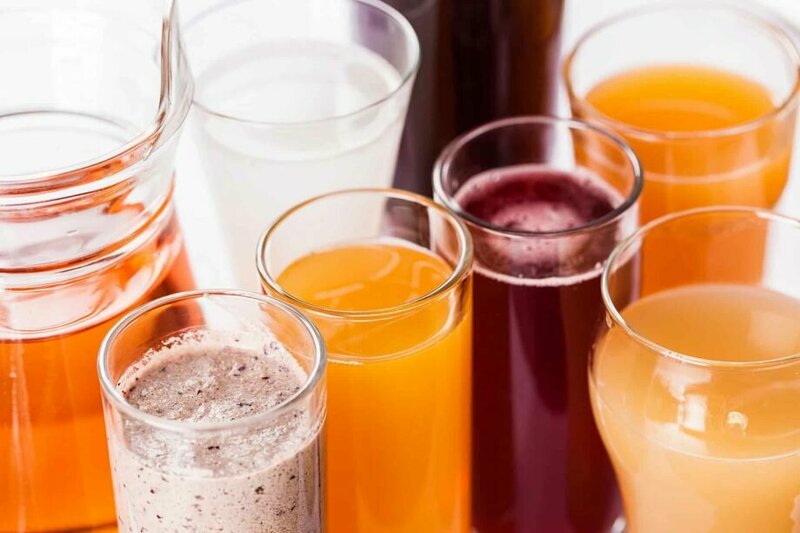 The home-made juices can also help you get through the day should you need a pick me up half way through your day and are a better alternative to options such as caffeine. Loaded with phytonutrients, here are a few natural ingredients that you could quickly toss into your juicer for an instant boost of energy. these citrusy fruits are high in vitamin c, potassium and folate. With naturally occurring sugars, organic unprocessed oranges juice work to regularize your energy levels as opposed to giving you and instantaneous energy boost that could result in a crash once it wears out. The orange juice will also come in handy in also boosting your alertness and concentration levels. Toss in some carrots for that extra folic acid and elevate the flavor as well as nutrients you get from your orange juice. Beets are considered a super food because of the benefits it provides regardless of the form it is in. Loaded with nitrates, these ingredients will go a long way in reducing your fatigue and work to will energize your cells by reducing the expense of oxygen throughout the day. Studies have shown that beet juice also helps improve the performance of body muscles. In case you find yourself running low on energy, load up on beet juice. The instant energy received from pomegranate juice makes up for the almost non-existence fiber in the juice. Pomegranate juice contain natural sugars that are easily ingested into your body system and used for a quick boost of energy that will keep you upbeat through out the day. However, should you need your energy levels to be constantly high, you must continuously refill your glass of juice since energy derived from sugars wears of quicker. Green juice can literally refer to a combination of most the green vegetable and are usually loaded with nutrients. Most of the green vegetables can be juiced, I am talking cilantro, cucumber, celery, spinach, kale, if it’s edible and you can name it you can probably juice it. Vegetables contain a green pigment known as chlorophyll that aid in oxygenating your blood and increasing the physical energy you require to get through the day. Toss in a green apple or ginger root to add more flavor and spice up your green juice to beat that afternoon stupor and stay productive. A rather summery fruit, melons can have you feeling alive and upbeat in an instant especially if you enjoy sweetness. Packed with Vitamins C, B and A, melons have a high-water content that will quench your thirst, keep you hydrated and refreshed. Regardless of the type of melon, the juice will immediately enhance your energy levels substantially as you go about your activities. And should you be all about the extra sweetness, add some berries to your juice. In many cases, energy levels in the body is affected by a variety of factors such as the overall state of well-being, mental health etc. Lack of energy affects productivity and the above mentioned ingredients when juiced are a quick and instant way to uplift your energy levels.